What is Depression, its causes and how to avoid depression? HomeWomen HealthWhat is Depression, its causes and how to avoid depression? Depression is a common and a very serious illness that has negative effects on how you feel, think or act. Depression is even though a serious disease, but it is also curable. Depression causes sadness or your bad mood of not getting into and enjoying the activities you used to enjoy. Depression is something that can affect anyone at any time like a child if he fails in his exams, an adult failing to provide his family well or any other reason. Depression can attack a person at any time and it is not always curable. The reasons of depression are not always known but researchers say that there are many reasons that a person goes into depression and they are not always treatable. 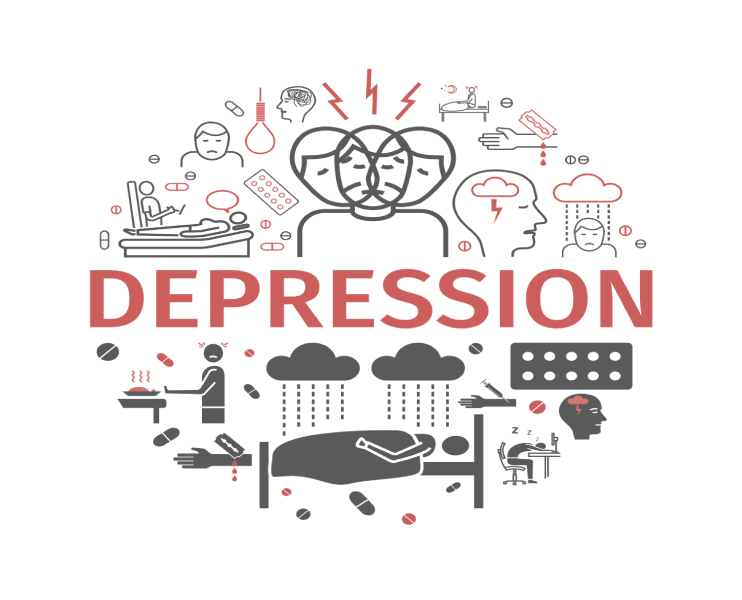 Now, let me tell you some of the most common reasons of depression and after that I will tell you some of the activities you can do to avoid getting yourself into this kind of illness. The link of depression is with the genetics, according to family studies but researcher are yet not very certain about all the factors of depression related to genetics. But now, many researchers reckon that parents or siblings having depression may be a risk factor. One of the causes of depression involves disproportion in neurotransmitters that are included in mood regulation. Neurotransmitters are chemical substances which are used to communicate different areas of brain with each other. When there comes a short supply of these neurotransmitters, it leads to the symptoms that are recognized as depression. It has been widely documented that women suffer twice as more from major depression as men do because depressive disorders highly increase during the times of reproductive years of women and the hormonal risk factors may be blamed for this. Women are especially vulnerable to depression during the time of their menstrual period, perimenopause and childbirth. 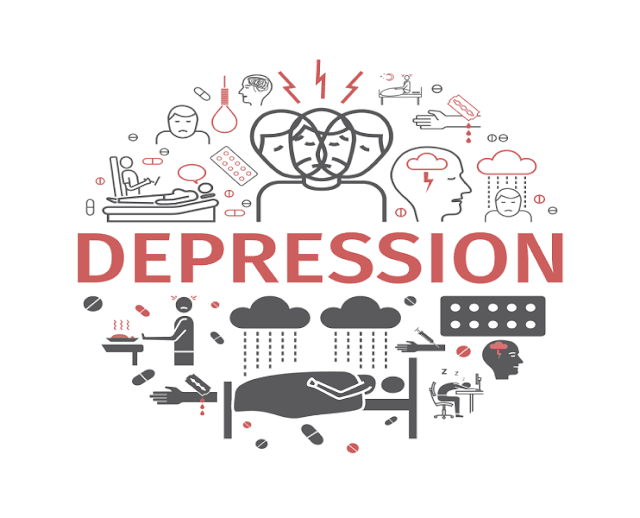 It is a type of depression which is officially known as major depressive disorder with seasonal pattern and this type of depression is caused by the disturbance in routine rhythm of the body. This rhythm is caused by the light entering the eyes of a person and winter shorter days when people spend most of the time indoors, this rhythm may become disturbed. There can be many ways in which a poor diet can affect you and lead you towards depression. There is a variety of minerals and minerals which, if are not taken up to an order, can cause depression. Diet items with a bad ratio of omega-6 to omega-3 can be a great cause of depression. Foods high in sugar are also involved in causes of depression. Drugs and alcohol also play a role in leading you towards depression, rather even some prescriptive drugs are linked to depression. There are some drugs that are found to be related to depression like statins, anticonvultants and beta-blockers etc. You should review any kind of medication that you are prescribed and must tell your physician if you are feeling depressed. Going through a great sad period for losing your loved one or having any kind of grief over a certain life experience is also a big reason of people getting into depression. Depression must be avoided as it can become a serious illness, if not readily, then after some time it will. There is a considerable relationship between stress and depression. Many kinds of daily routine tasks like job, education and family life can cause stress and then depression. So you should manage all these tasks and try your best to avoid any kind of stress. Exercise is a very good mode of avoiding depression. Both Low intensity and high intensity workouts are very good for avoiding depression. High intensity exercise releases endorphins into the body which are also known as feel-good chemicals and low intensity releases proteins named as neurotrophic factors which enhance brain function and make a person feel better. Right mix of nutrients is very important and good for your brain. You should add nuts and seeds to your meals and eat more whole grains, fruits and vegetables and avoid trans fats included in processed meats, cookies and cakes. Protein intake like fish, poultry, eggs etc is also very good for avoiding any condition leading to depression. You should drink at-least 8 glasses of water a day and avoid drinking caffeinated drinks. Sleep is something that has a high effect on people psychologically and physically. 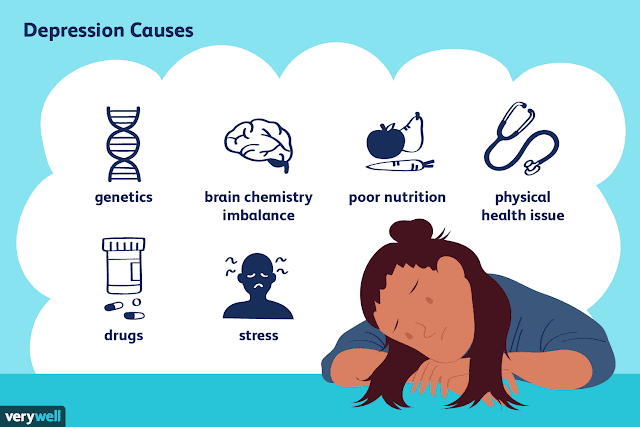 Not getting enough sleep at night can cause insomnia and it leads straight to person getting into depression so you should manage all your tasks on time and get a good night sleep to avoid depression. Alcohol and drugs are most likely the big causes of depression. Moderate alcohol consumption is not a big problem for some people but those with depression can make their conditions more worse by consuming any drug or alcohol.